SEGA Games starts with the Letter "W" / Page "1" / SEGA Genesis / Mega Drive games | SSega Play Retro Sega Genesis / Mega drive video games emulated online in your browser. 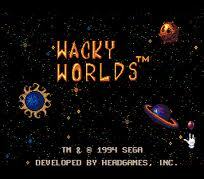 Wacky Worlds Creativity Studio is a children's video game for the Sega Genesis, released in 1994. In it, the player has a choice of six different Wacky Worlds in which they can place animated "stickers", creating a diorama using two-dimensional computer graphics. Among the Worlds are an underwater scene, a scene inside a house, a jungle, and the Moon. The user is also able to alter the music played in each world by selecting from a bank of different music stickers. It is considered the sequel to Sega's Art Alive!. 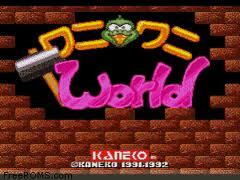 Wacky Worlds is the first title released under the "Sega Club" label, a collection of Sega titles for kids. 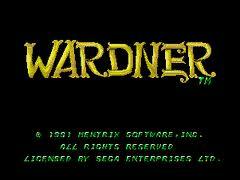 Wardner (original Japanese title: Wardner no Mori) is a platform game released by Taito in 1987. 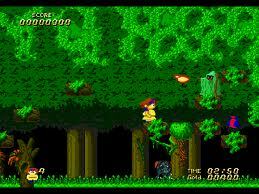 The player controls a character named Dover through various forest game levels in an attempt to rescue his kidnapped girlfriend from the evil Wardner. The simple run and jump controls are supplemented with the ability to throw balls of fire. The player collects gold coins throughout the game; at the end of each level, the coins are exchangeable for extra abilities. 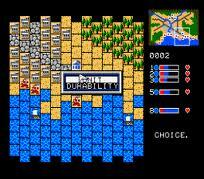 The game was ported to the Famicom Disk System in 1988 in Japan. 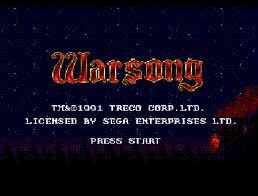 A 1990 port to Sega Mega Drive is titled Wardner no Mori Special in Japan. The North American version of the arcade game is alternately titled Pyros. The console game was never officially distributed in Europe, but the arcade game was commonplace. 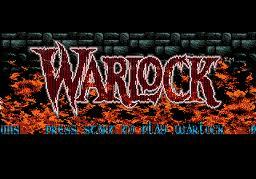 Warlock is a 1995 platform video game loosely based upon the horror film series of the same name. 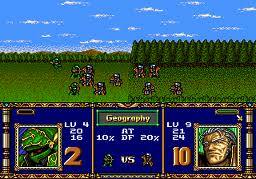 It was released on Aug 15, 1995 through Acclaim Entertainment for the Sega Genesis/Mega Drive and Super Nintendo systems. Warrior of Rome, also known as Caesar no Yabou (シーザーの野望?, "Ambition of Caesar"), is a real-time strategy video game for the Sega Mega Drive/Genesis. The game is a fictional story about the adventures of Julius Caesar and the Roman army during his reign as general in the year 48 BCE. 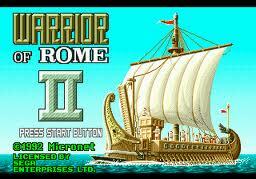 The game had a sequel, Warrior of Rome II. Warrior of Rome II is a real-time strategy video game developed by Micronet and published by Bignet in 1992 for the Sega Mega Drive/Genesis as a sequel to Warrior of Rome. 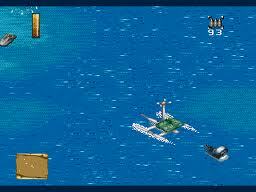 Waterworld is the name of various video games released for the Super Nintendo, Virtual Boy, Game Boy, and PC based on the film of the same name, along with unpublished games for the Mega Drive/Genesis, Sega Saturn, and 3DO. The Nintendo and Sega console versions were all produced by Ocean Software, while the PC and 3DO versions were produced by Interplay. The SNES and Game Boy games were released only in Europe in 1995 and the Virtual Boy game was released exclusively in North America in November 1995. The game received widespread negative reviews and the version released for the Virtual Boy is generally considered to be the worst game of its 22 releases. 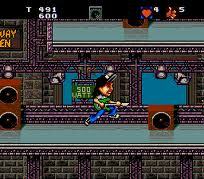 Wayne's World is an action video game based on the film Wayne's World and released in 1993 by THQ. Different versions of the game were released; the NES and Game Boy games were developed by Radical Entertainment and feature both protagonists Wayne and Garth as playable characters. The Super NES and Sega Mega Drive/Genesis games were developed by Gray Matter and feature only Wayne as a playable character. Weaponlord is a fighting game developed by Visual Concepts and published by Namco for the Super Nintendo and Sega Genesis/Mega Drive in October 1995. 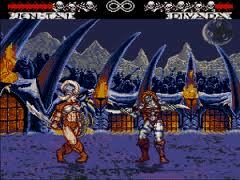 As in other fighting games, Weaponlord has players select a character and defeat a series of opponents. The game is a weapons-based fighter, with various gory moves and a deep counterattack system. Project leads James Goddard and Dave Winstead aimed to design a title for enthusiasts of the fighting game genre. Unlike many other fighting games of the time, WeaponLord was designed specifically for home consoles and was one of the first fighting games optimized for online play. It has also been cited as the basis for Namco's Soul Edge/Calibur series. A Dinosaur's Tale is a 1993 Sega Genesis action video game that is based on the Steven Spielberg animated feature, We're Back! A Dinosaur's Story. It was only released in North America. Hi Tech Expressions also released different games based on the film for other platforms. 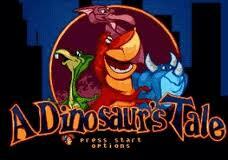 Visual Concepts developed an SNES/DOS title and Beam Software developed a Game Boy title (known in Australia as Agro Soar and in Europe as Bamse and Baby T-Rex.). 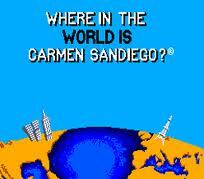 This is the earliest version of Where in the World Is Carmen Sandiego? as well as the first product in the entire Carmen Sandiego series & the beginning of Carmen Sandiego. It was released in 1985. The game was distributed with The World Almanac and Book of Facts, published by Pharos Books. Where in the World is Carmen Sandiego? 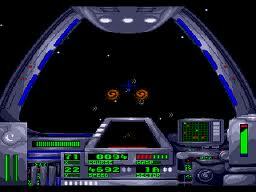 was included in some software packages with the Amiga 500 . There was also a second "Enhanced" version of this game in 1990, that did not have the almanac copy protection but disk based copy protection. 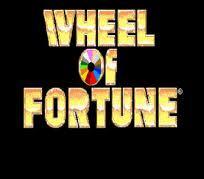 The "Deluxe" expansion pack version was released in 1992.